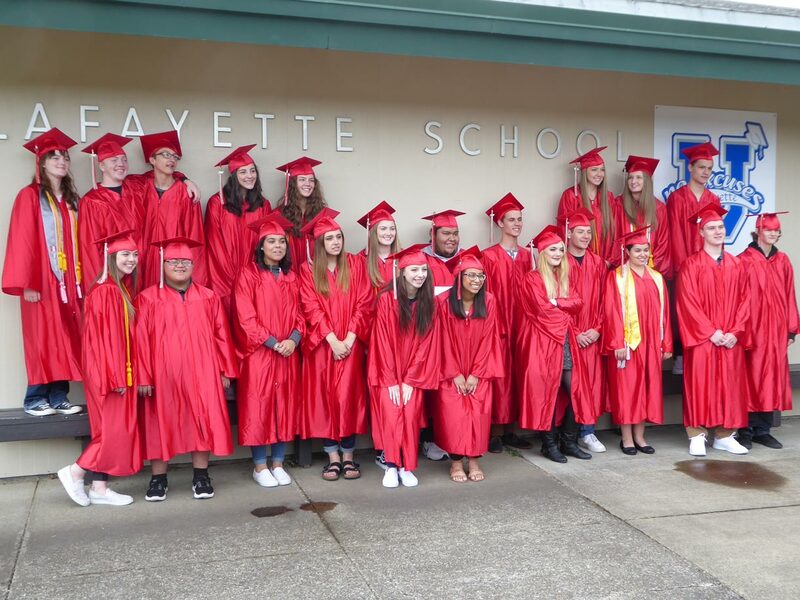 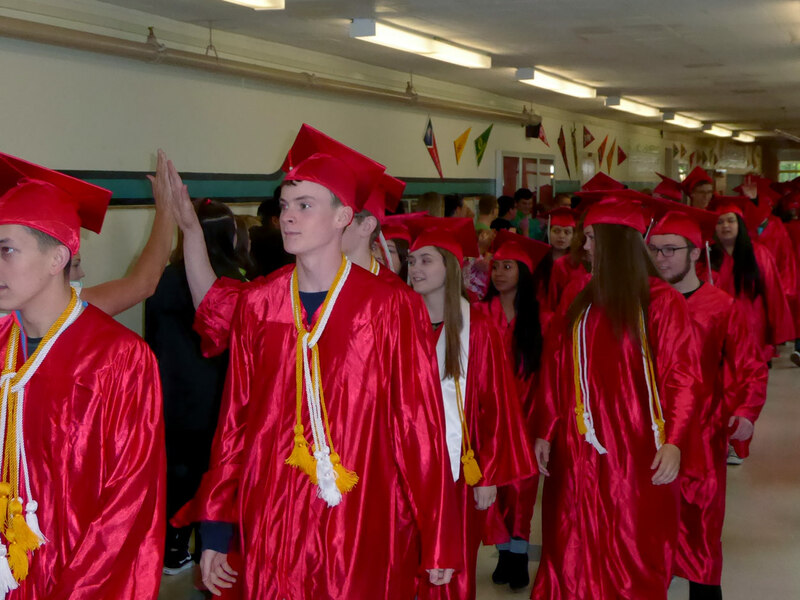 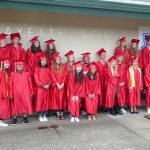 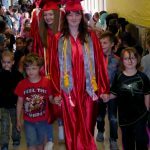 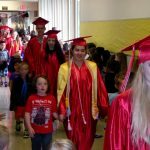 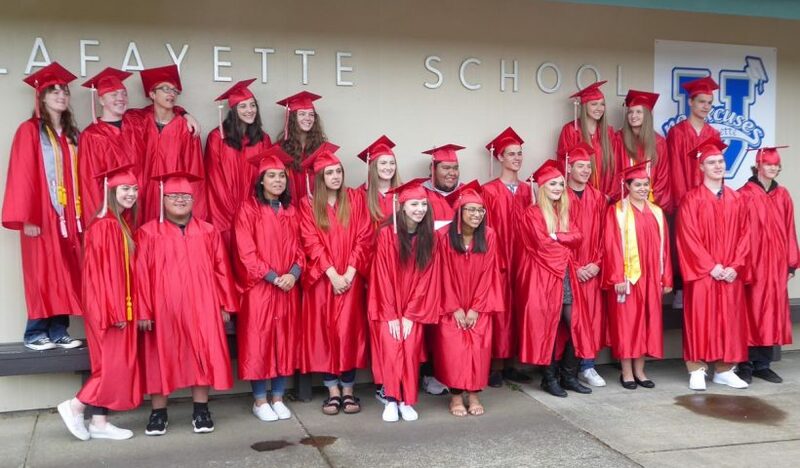 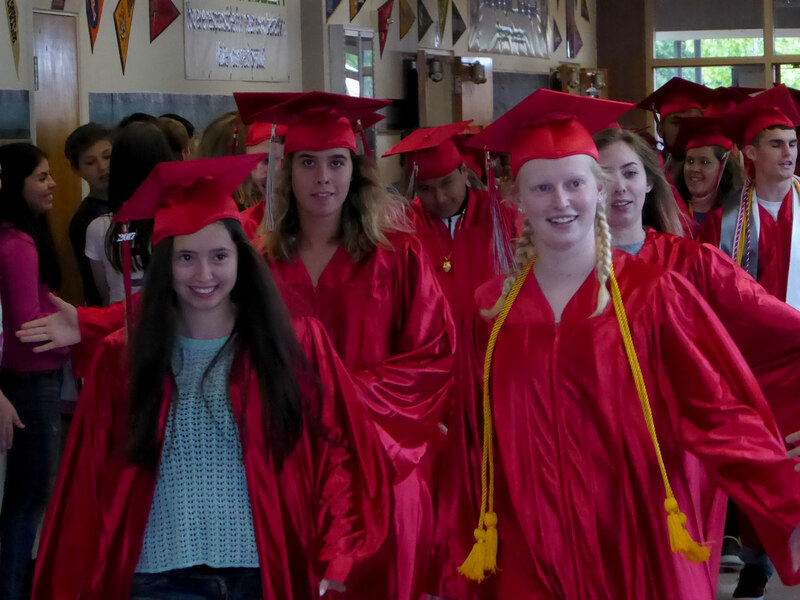 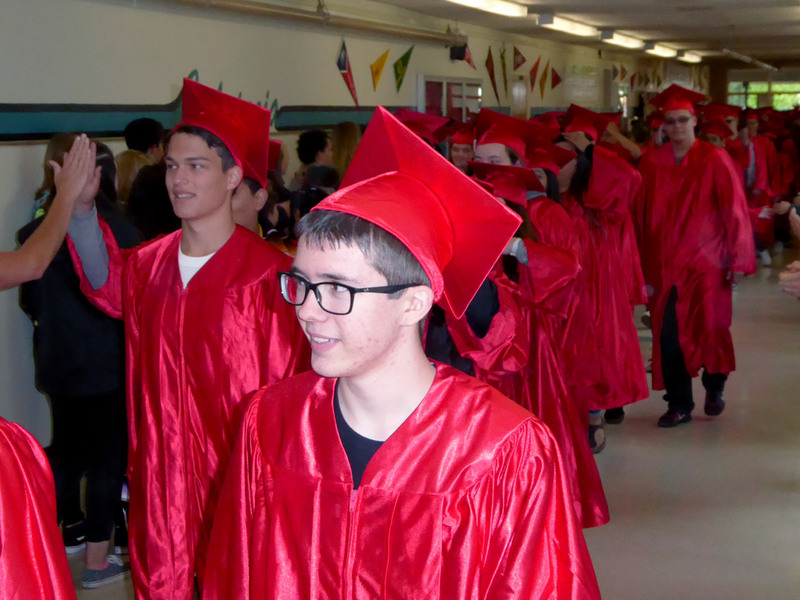 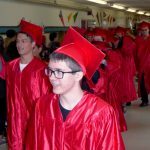 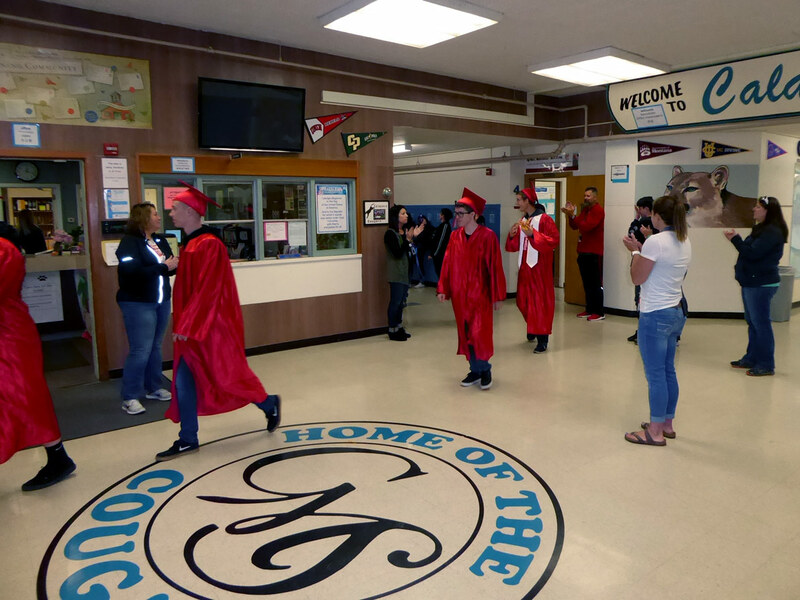 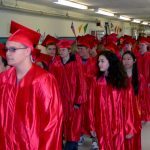 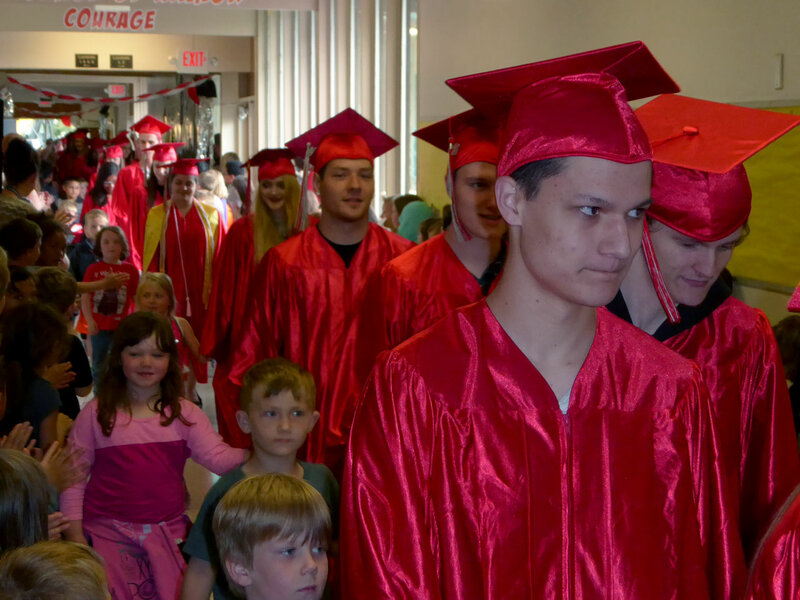 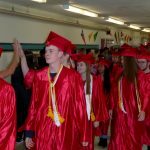 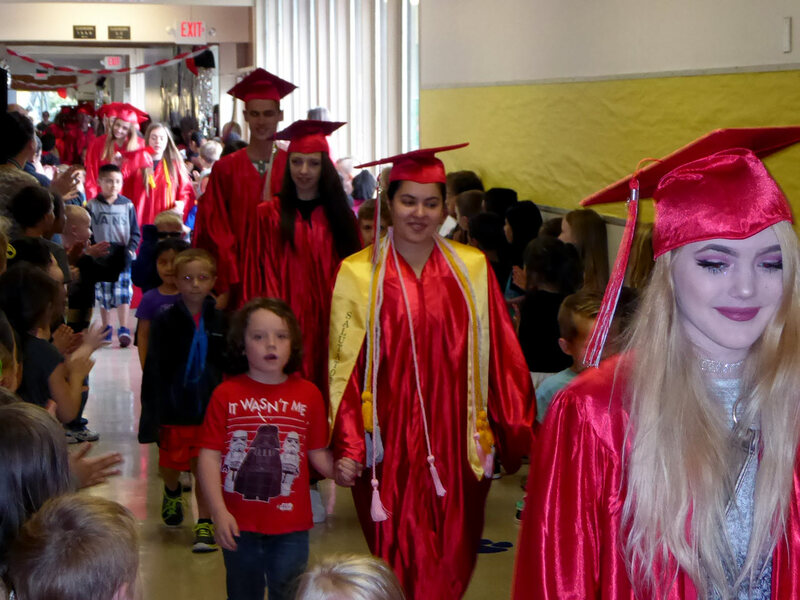 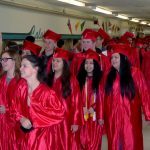 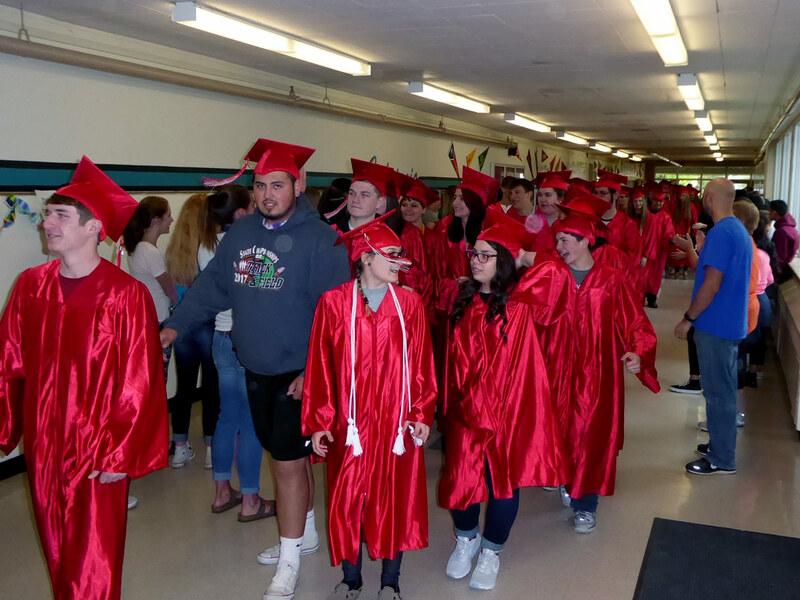 The traditional South Albany High School Senior Walk was today. 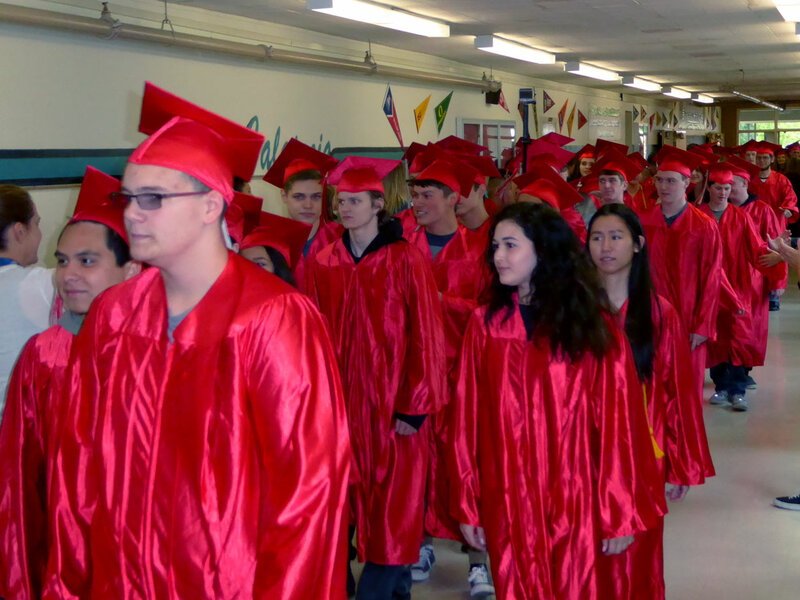 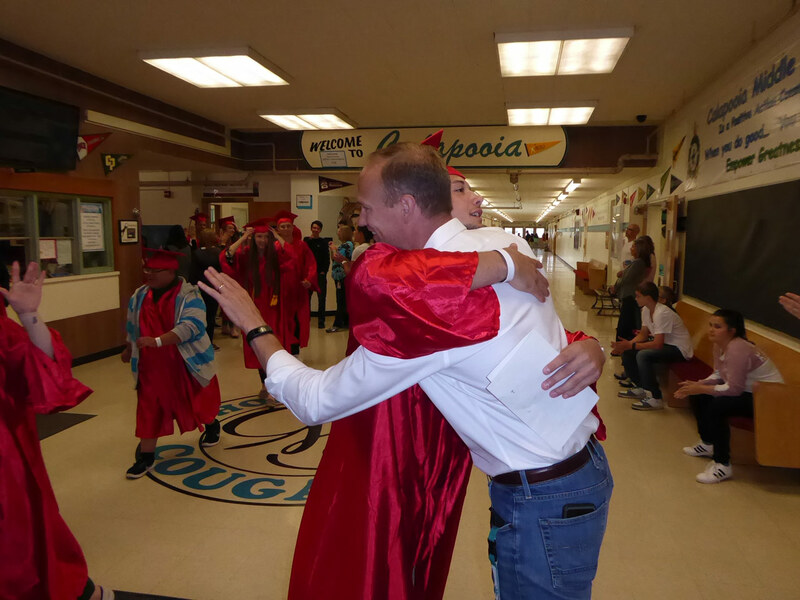 The annual event is part of the graduation rehearsal schedule. 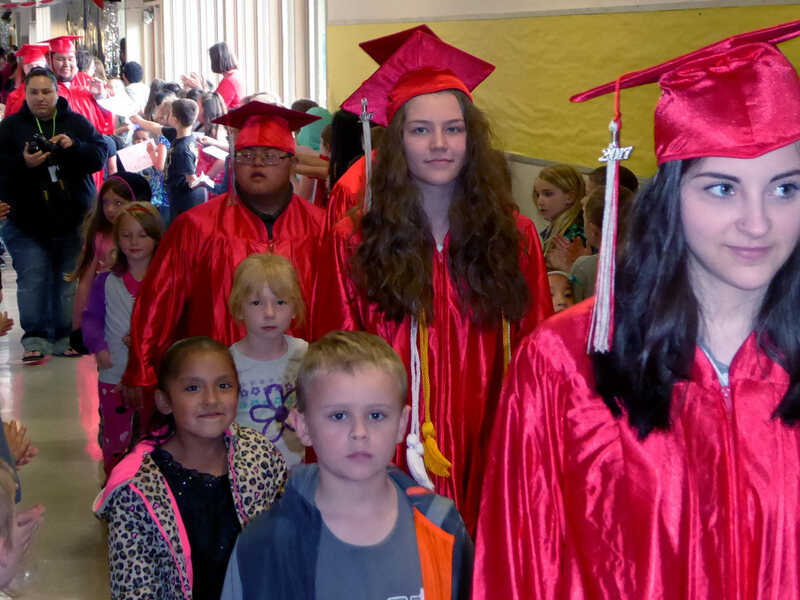 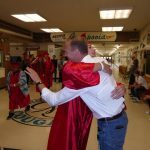 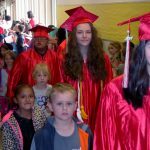 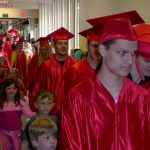 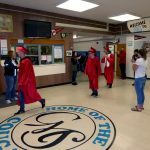 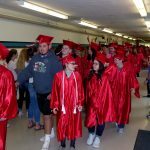 Students were bused to their lower-grade schools before finishing graduation ceremony preparations at the Linn County Expo Center. 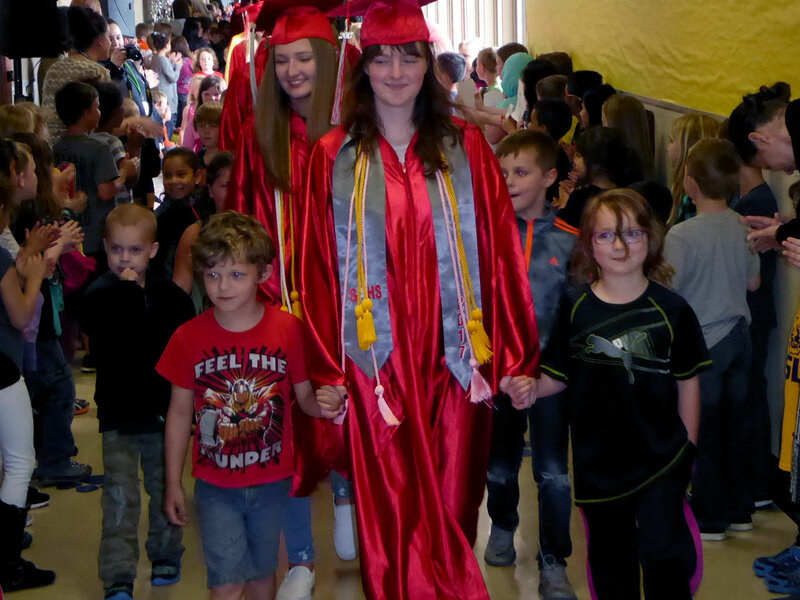 Today, students visited Lafayette, Sunrise, South Shore, Timber Ridge, Periwinkle and Oak elementary schools and Calapooia Middle School. 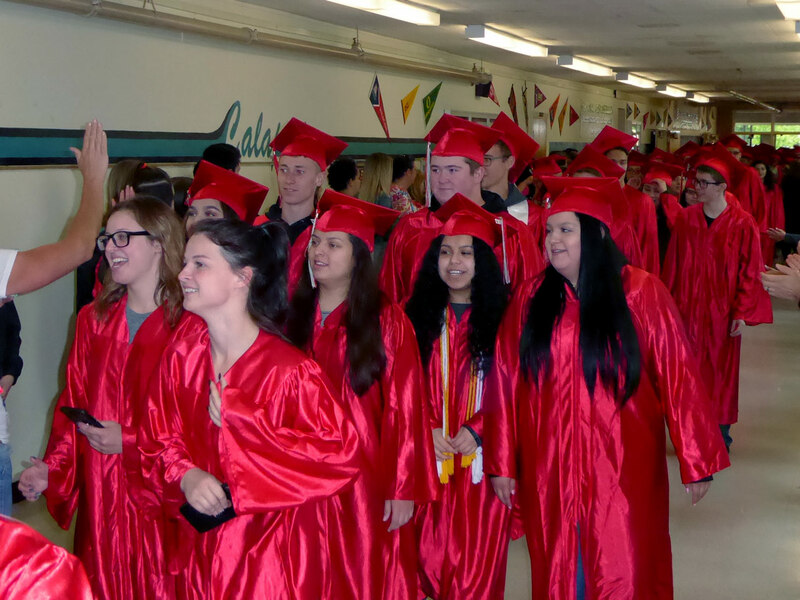 The official graduation ceremony was tonight.